Landscape of the highlands of Burundi. Photography H.Cochet. Burundi farmers have confirmed their outstanding capacity to innovate. While most international experts and Burundi agronomists thought since decades that demographic growth and land pressure had become incompatible with the sustainable intensification of the use of natural resources, Burundi farmers have proven the opposite. 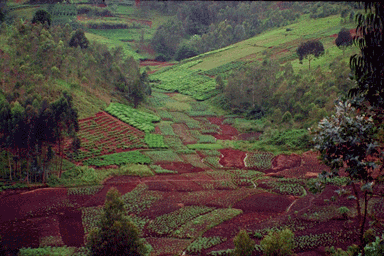 Two agricultural revolutions, undertaken by farmers themselves, have enabled this adaptation. The first one took place during the XVIIth and the XVIIIth century with the introduction of maize and beans from America and the generalization of double crops and the association of animal rearing with agriculture. The second one was a response to the severe crisis of the beginning of the XXth century with the development of labor-intensive garden multiple crop systems in which banana plantations had a key role. The article of Hubert Cochet is an outstanding demonstration of the value and possibilities of peasant agriculture. He also illustrates how the analysis of agrarian systems and the understanding of production and management systems of natural resources (especially restoration of soil fertility) enable us to understand past and current changes. 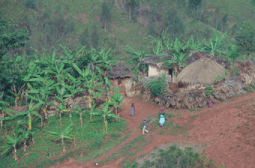 Farmer’s House in Burundi. Photography H.Cochet. The usefulness of this work goes far beyond the geographical frame of Central Africa. It invites us to question ourselves about the conditions of change in farming systems in the context of globalization. The case of Burundi constitutes an astonishing example of endogenous development exclusively based on local resources. You can download from this website the french versión of this paper. Hubert Cochet is professor of “Compared agriculture and agricultural development” at Agro Paris Tech (new establishment created in January 2007 from the merge of the National Agricultural Institute of Paris-Grignon, INAPG, ENGREF and ENSIAA. He has been the president of AGTER from 2005 to 2011. Cochet, Hubert. Crises et revolutions agricoles au Burundi. INAPG – KARTHALA, Paris. 2001. The French Development Agency gave the Tropiques prize to Hubert Cochet in 2002 for this work.